1 – What is funny about the penalty of apostasy in Muslims' human-made religion is that, although it is the most notorious aspect of the human-made Shari 'a, it still a controversial issue with only two (Hadiths: Sayings attributed to the Prophet Mohammed) to support it, it is applied more than any other punishment in the Shari' a. These two Hadiths are false as they were invented during the Abbasid Empire, about two centuries after the death of Prophet Mohammed. 2 – Why this penalty of apostasy is famous although it lacks a fundamental religious support in Islam? The answer is one word: Politics. Explaining it needs some historic facts. 1 - In the time of Prophet Mohamed there was no mentioning of such punishment. Prophet Mohamed had established the real Islamic State in Al Medina (622: 632) based on direct democracy and human rights and on the unlimited freedom of belief and expression. 2-Serious changes had happened during the rule of the Rightly-Guided Caliphs (632: 661),but Muslims in that time had maintained some aspects of democracy and full freedom of belief and speech. So, there was not any indication to the penalty of apostasy during the rule of the Rightly-Guided Caliphs. 3 - The Umayyad dynasty had taken over the Muslim Empire by its tribal military autocratic regime. They usurped human rights and democracy, but during their reign (661: 750), they used to exterminate their enemies and oppositions without any religious justification. They did not need to invent what is known as the penalty of apostasy. 4 - This has happened during the Abbasid dynasty (750: 1258). The Abbasid Empire was a theocratic autocratic regime, so it had to invent religious justification for its policy. That is why they eliminated their opposition by inventing the so–called penalty of apostasy. Ironically, the early Abbasid Caliphates had some atheists working for them enjoying prosperity and all the vanities of life like (Hammad Al Ajrad) . The penalty of apostasy never affected them while many people were killed by this penalty just because they were against the Abbasid politics or criticized its Caliphates like (Ibn Al Moqaffa’) and (Bashshar Ibn Burd). 5 - In the Mamluks dynasty (1248: 1517) the penalty of apostasy has dangerously developed by the fanatic Sunni famous scholar (Ibn Taymeya-died in 1327). This dangerous development has been revived in our modern history and our recent time by the Wahabbis, which is restoring (Ibn Taymeya)'s thoughts. Muslim Brotherhood has been planted in Egypt by the Saudi King, the founder of the third current Saudi State (Abdul Aziz Bin Saud). So, the Muslim Brotherhood has the same dangerous development of (Ibn Taymeya) in the field of penalty of apostasy. It is commonly known that (Abu Bakr) has fought the apostates in the famous (war of apostasy) This has nothing to do with the penalty of apostasy. However, those apostates in the time of (Abu Bakr) were rebels who attacked the Muslim state with the objective of destroying it politically and violently. (Abu Bakr) had to stand against such rebellion and used force against force in order to protect the infant state. This is what came to be known in history as: "The War with the Apostates," which had nothing to do with the so-called penalty of apostasy. The penalty of apostasy is supposed to deal with a peaceful person who does not raise a sword. A person who joined Islam, or who was born and lived as a Muslim, but he wanted to leave it and to apostatize, without resorting to violence or fighting the Muslims. The difference is far more significant between the war with the apostates and the penalty of apostasy. Besides, the war with the apostates occurred in the time of (Abu Bakr), but the penalty of apostasy was invented much later. When some Companions argued with (Abu Bakr) concerning his position towards the apostates at the beginning of the crisis, he had never used the so-called Hadith which says:” You should kill whoever changes his religion" because it has not yet been invented up till that time! When one Muslim converts from Islam to another religion, he/she will be given some days to repent and to be Muslim again. If he/she insists to refuse Islam, then he/she must be killed. This is the common meaning of the penalty of apostasy in the human made Sunni religion. In this regard , (Sheikh Sayyed Sabiq) - the religious leader of Muslim Brother in the last century – in his book (Fiqh Al Sunna ) said that this apostate should be given a period of time to repent. If he/she changed his position and announced that he rejected every religion except Islam, then his/her repentance should be accepted, otherwise the "penalty of apostasy" should be carried out! [Fiqh –Al Sunnah: part 2 page: 388]. "Ibn Taymeyah" and his fanatic Sunni school (Including Wahhabism and Muslim Brotherhood) have added a new kind of apostasy, namely "Al Zindeeq" i.e. the heretic. They decided to apply the penalty of apostasy to the Zendeeq, , without giving him/her a chance for a fair trial. They say: It is a must to kill him once we get him/her, kill him/her even if he/she repents and without discussion. Thus he/she is deprived of the right to defend him/herself or to present his/her arguments. In other words, he/she is denied the right to "offer his/her repentance"!! The reader may imagine that a Zendeeq is someone who is a blasphemous or a disbeliever or an atheist who does not believe in God, his Messengers, and his Books. No! Usually, he/she is a believer. He/she believes in God and His Messengers and His Books, but he/she is a thinker who has an independent opinion. His/her major mistake is that his/her views may differ with those of the Sunni scholars. So, he/she deserves to be killed even if he/she repented. And because he/she is a person of opinion, supported by an Islamic argument and proofs, then the Sunni religious Priesthood deprives such a person of the right to a fair trial which may be granted to a regular apostate who turns back to disbelief. (Sheikh Sayyed Sabiq) says that the Zendeeq is a person who believes in Islam inwardly and outwardly. Thus he believes with his tongue and heart. How then he is considered to be a Zendeeq? The Sheikh says in explanation: "... but he may interpret some of "what is necessarily known of religion" in a different way from that which the Companions and those who came after them and all the Ummah (i.e. all the Muslims), have agreed upon." In other words, one is considered to be a Zendeeq because one used one's mind, thought about some matters and came up with new opinions that may differ with what is commonly known by the Sunni human-made religion. Such accusations were not mentioned in the writings of earlier scholars. The reason is that applying the (Wahhabi Sunni Shari'ah) was not a political issue during the Abbasyd or the Mamluks' eras. But it became the slogan of Muslim Brotherhood, So, they used the penalty of apostasy against their oppositions dealing with them as Zindeeq, demanding to kill them without a trail. There has been so many secular and Muslim reforming trends that took a stand against the political agenda of the Sunni Wahhabi movements under the flag of applying the Shari'ah. The so-called moderate Muslim scholars among The Muslim Brotherhood and the official Wahhabi scholars usually issue fatwas accusing the reformer Muslims to be apostates. to encourage terrorists to assassin them. This is the cause of my suffering for 30 years as more than 100 fatwas were issued against my life. The most notorious fatwa was issued in June 1992 to punish me and my late friend Dr. Farag Foda. We together announced the birth of new political party named (The Future party) to face the Muslim Brotherhood culturally and politically. Three days after this announcement, a fatwa against the two of us was issued by an organization inside Al Azhar that belongs to the Muslim Brotherhood calling for killing us. 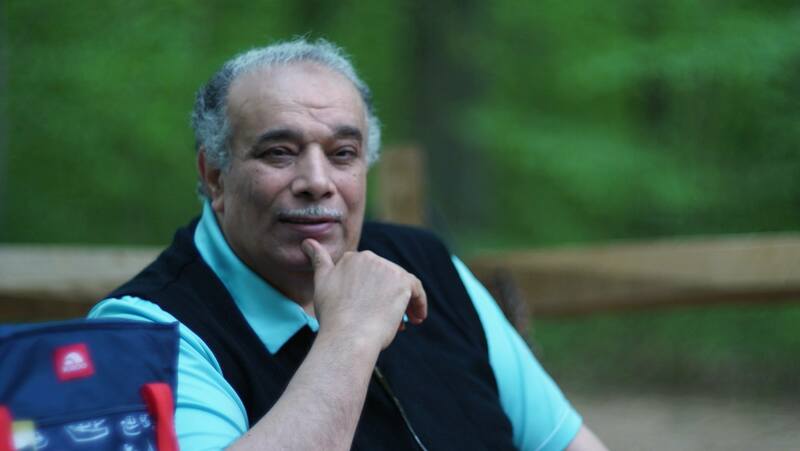 After three more days, Dr. Farag Foda was assassinated in front of his office. "Al Jama’ah Al Islameyya" , headed by the notorious leader "Omar Abdel Rahman", declared that they killed Dr. Foda, following that Fatwa. In the court (Sheikh Al Ghazali) defended the killers of Dr. Foda saying that Dr. Foda was apostate and should be killed accordingly. So, I attacked (Sheikh Al Ghazaly) in many articles proving that he contradicted his own writing. Then I wrote my book (The Penalty of apostasy) to prove that this false penalty contradicts Islam. This book has all the necessary details about this subject. Peace is the origin of understanding Islam as a religion, as well as in the Arabic language. It is the base of the relationship between Muslims and others. Peace is also the back-bone of the Jihad laws in the Quran. The inward meaning of Islam is to succumb and submit to God alone, pledging allegiance and obedience to Him and Him alone (6:161-163). Any one that claims this right to him/herself is claiming divinity to themselves. This is the inward meaning of Islam in dealing with the Almighty God, the Creator, or the inner meaning of the faith that lies inside the heart which will be judged by God alone on the Last Day. Islam, in dealing with people is (Peace). Any peaceful one is a Muslim regardless of his/her faith and culture. God says: “O you who believe enter peace wholeheartedly” (2:208). Thus God ordered the believers to enter peaceful life. We remember here that the salutation of Islam is peace “Alsalamu alikum” or “Peace be upon you” and that peace is one of God’s holy names, Al Salam. All of this expresses the confirmation of peace in Islam and it confirms the fact that belief also means being in a state of safety and security. So, killing the peaceful human because of his religious choice is against the meaning of Islam. * The Holy Qur’an contains the practical proof supporting the absolute freedom to believe or to disbelieve. This is clearly mentioned in hundreds of the Qur’anic verses. On the Day of Judgment they will be held accountable for such freedom. At such time they will be asked about the consequences of their choice. God says:" And say, `It is the truth from your Lord; wherefore let him who will... believe, and let him who will... disbelieve." (18:29). * The general fundamental rule of jurisprudence stated in the Holy Qur’an is: "There is no compulsion in religion). (2:256 ) It clearly prohibits compulsion in joining any religion, in leaving it and in performing its rituals of worship. What is important to understand is that the general fundamental rule in Divine jurisprudence to prohibit compulsion in religion, i.e. in joining or leaving religion, is based on the freedom of humans granted to them by God to believe or to disbelieve, with the understanding that they are going to meet God on the Day of Judgment to give account of their actions. * The Lord of Glory has mentioned this Divine jurisprudence in the Torah. He said about the Children of Israel and the Torah: "And therein We prescribed for them: Life for life" (5:45) which means that there is no justification for killing a soul except when it had committed a murder, i.e. as requital. In Islamic jurisprudence, the penalty for murder has been commuted by introducing an alleviation by which the murderer may be saved from execution if the victim or his family agreed to accept the blood-money. (2:178) . Thus there is an exception in the rule of: "life for life". Such exception is paying the blood-money. Accordingly, the murderer may not be killed in all cases. * God the Exalted forbids aggression and made fighting lawful in defense of the state if an aggression was committed against it: "And fight in the way of Allah against those who fight against you, but do not transgress. Surely, Allah loves not the transgressors". (2:190) "So, whoso transgresses against you, punish him for his transgression to the extent to which he has transgressed against you. And fear Allah and know that Allah is with those who fear Him". (2:194). This means that God the Exalted forbids the Muslims to exceed the law of retaliation in their war with the aggressors. If the aggressor happened to kill ten persons from among the Muslims, then the Muslims are not allowed to kill more than ten persons. This is the law of retaliation in which there is life for Muslims and for all others as well. This being the case in the legislation for fighting an enemy who committed an act of aggression, then what about dealing with a peaceful person who did not raise a sword? It is the utmost and extreme injustice to issue a verdict to kill a soul for any other reason outside the law of retaliation, and then to ascribe such unjust verdicts to the religion of God the Exalted, while the religion of God is absolutely free of such horrible acts. * The Holy Qur’an has specifically mentioned the subject of apostasy in four verses but never mentioned any penalty to be applied by the ruler to the apostate. The apostate is left to be dealt with by God Who can punish him in this world and in the world to come. * The true Sunnah, i.e. practice of the Messenger of God, is the practical application of the Qur’anic jurisprudence. Such practice never contradicted the Qur’an. This is what the Messenger has applied in dealing with the apostates and the hypocrites and the like. The Prophet' himself has never set up "Inquisition Courts" for the hypocrites in Al Medina when he lived in it as the sole and obeyed ruler. The hypocrites represented religious and political opposition. They used to plot against him in times of war and peace, which in any present democratic society, a government would have the right to put them on trial for committing crimes equivalent to high treason. * The subject of apostasy has also been mentioned frequently in the Holy Qur’an during references about the hypocrites who disbelieved after declaring their faith. This means that those people have fallen into apostasy when they uttered the word of disbelief. They disbelieved after they have embraced Islam. They even cherished enmity against the believers but they were not successful in causing them any harm. Such was the testimony of God against those people. Did the Prophet set up Court of Inquisition to investigate their faith, or did he apply to them the alleged penalty of apostasy? This shows that some people used to join Islam then apostatize, then join again then apostatize, then at the end they chose to remain disbelievers, even they increased in disbelief. Yet, there is no mentioning of any penalty of apostasy. Their punishment is left to God Who said that He shall not grant them His forgiveness. 5 - It contradicts the human made history of the Prophet Mohamed. Thus it is an absolute Qur’anic fact which emphasizes that the Prophet did not know such a penalty for apostasy and never applied it to the hypocrites whom God has testified to their disbelief and exposed their conspiracies. It is also an absolute historical fact in the biography of the Prophet which emphasizes that the Prophet did not know such a penalty for apostasy and never applied it to the hypocrites whom God has testified to their disbelief and exposed their conspiracies. Some scholars felt obliged to admit this fact. In his book: "The Prophet's Sunnah between the Jurists and the Traditionalists", (Sheikh Mohammad Al-Ghazali) said disproving the allegation: "When did the Prophet ever give any order to kill the hypocrites? This has never happened. On the contrary, he forbade it". The conclusion of all this is that as long as the Prophet has prohibited killing the hypocrites, it should be taken as an evidence of the absolute prohibition of killing the hypocrites. And as long as God has testified that the hypocrites have apostatized out of Islam, then the prohibition is a prohibition to kill the apostates. Consequently, it is evidence on our side that the so-called penalty of apostasy is contradictory to Islamic Jurisprudence. Penalty of Apostasy contradicts the rules of the human-made Sunni religion itself. The alleged penalty of apostasy is based upon only two Hadiths attributed to Prophet Mohamed, one of them is reported by (Ikremah, the servant of Ibn Abbas). The other was mentioned by (Al-Awzae'ee) without any authority and without a chain of reporters. It was indeed a precarious situation. Soon after, (Imam Muslim) reported it in his book ( Sahih Muslim ) after giving it the chain of reporters. (Al-Awzae'ee) in his inventing of Hadith said : "The blood of a Muslim man should not be lawfully shed except in three situations: A life for a life, the married man who committed adultery, and the apostate who left his people". The other Hadith made by (Ikremah) says: "Whoever changes his religion kill him", which is applicable to everyone who changes his religion, including Muslims, Christians and Jews. In its general form, it can literally mean that whoever changes his religion from among the Christians and the Jews and became a Muslim, he/she should be killed. Is it permissible to put people to death based upon two Hadiths contradict the Holy Quran , and have been reported by one person? However: Let us assume that the two Hadiths defining a penalty for apostasy were true and not false traditions. Let us also assume that the Holy Qur’an does not contradict them both, but does not support them either. The question is: Is it permissible to depend on two Hadiths to constitute a law in Islamic jurisprudence? Is it permissible to create jurisprudence based only on two (Ahaad Hadith ) i.e. Hadith which, the end of the chain of reporters, mentioned only one person? Is it permissible to put people to death branded as apostates based only upon two Hadiths? (1) "Ahaad", (i.e. those Hadiths which at the end of the chain of reporters there is only one person who heard it from the Prophet) . However, some scholars consider all the Hadiths in the written traditions are (Ahaad ). This includes these two Hadiths of the penalty of apostasy. (2) "Mutawatir", (i.e. the Hadiths which at the end of the chain of reporters there are many persons who have heard the tradition directly from the Prophet) . This kind is not found, or a few only. However, they said that it is very difficult to find a "Mutawatir" Hadith . Both Hadiths mentioning apostasy are of the "Ahaad" traditions. The question then is: Is it logical to take them as true? And can both be used to constitute jurisprudence? In the famous Sunni book : "Jurisprudence According to the Four Schools", it is mentioned that the penalties of which the scholars of jurisprudence have agreed upon were only three (for stealing, adultery and accusing an innocent). This proves that the scholars of jurisprudence were not in agreement concerning what is called the penalty of apostasy, in other words, there is no complete consensus among the jurists concerning a penalty for apostasy. (Sheikh Muhammad Al-Ghazali), who was so enthusiastic about the penalty of apostasy, has mentioned what contradicted the penalty of apostasy in his book: "The Prophet's Sunnah between the Jurists and Traditionalists". He said: "I counted more than two hundred verses in the Qur’an that emphasized freedom of faith, considering that true faith should be based upon personal conviction while compulsion should be rejected. It should be emphasized that inviting people to a religion should be done through clear conveyance of the message". Then he said: "Presenting Islam as if it were a provoking religion and as being thirsty for shedding blood is preposterous and mere fabrication of false charges against God and the Messengers. We have dealt with the subject thoroughly in many other books of ours, yet it is still necessary to speak on the subject again because the lies never end". Then he said: "In these ill-omen days, the differences have become so wide-spread in the Ummah. They killed one another to the degree that the number of those who were killed in internal afflictions has exceeded the number of those who were killed fighting the foreign occupation". Based on what the Sheikh has said, the so-called penalty of apostasy contradicts all the verses of the Qur’an which emphasized freedom of faith and prohibited compulsion in religion. The sentences which we have quoted from his writings fit exactly those who defend the so-called penalty of apostasy and want to propagate its authenticity, those who have specialized in accusing others of disbelief and apostasy and who are thirsty to shed the blood of Muslims. (Sheikh Al-Ghazali) also rejected the idea that the Prophet has ordered to kill anyone from among the hypocrites; and said: "When did it happen that the Messenger of God has directed to kill anyone of the hypocrites? It has never happened, but rather he has prohibited it". In other words, he was pointing out to the fact that the penalty of apostasy did not exist in the time of the Prophet, otherwise, the Prophet would have had applied it to the apostates from among the hypocrites. Also, (Al-Ghazali) said that a tradition should not be used as an argument if it has serious flaw or if it was odd. The two traditions relating to apostasy are odd and both have serious flaw as long as they contradict two hundred verses of the Qur’an, which were counted by (Sheikh Al-Ghazali) relating to freedom of faith, and as long as the Prophet himself, as has been mentioned by (Al-Ghazali), has never killed anyone of the apostates. In addition, (Al-Ghazali) also said that an "Ahaad" tradition, even if it were true, does not provide certainty. He said: "Claiming that it provides certainty as the "Mutawatir" traditions is an unaccepted risk". It means that it is a risk to shed the blood of Muslims depending on a true but not certain tradition. What then if the tradition was not true but a false one? "Sheikh Al-Ghazali" clarified the matter concerning the weak traditions which he might not reject on the outset if they were not related to matters of faith and jurisprudence. He said: "It may be the right of those who take interest in the weak traditions to use them outside the circle of beliefs and laws of jurisprudence, because the blood, the property, and the honor are more important and should not be dealt with based on rumors". Therefore, both traditions of apostasy, which are nothing but "rumors" should not be used as a judicial justification for shedding blood unjustly.